Professional development and training of any kind proves to be most effective when the trainees can stay engaged and make the connection to “why” of what they are learning. This holds especially true when training staff on a complex tool such as a learning management system (LMS). Here are 5 helpful tips for developing a successful training curriculum. Laying out the learning objectives prior to developing the training sets the LMS training’s foundation. These learning objectives should outline what skills or knowledge you wish your trainees to walk away with after training. The learning objectives should also be concise, measurable, and achievable for the amount of training time allotted. Good learning objectives will not only define the knowledge goals but will also aid in the design of your assessment and training activities. Plan on presenting the learning objectives to your LMS trainees at start of the training. Learning to build an activity or update pages in an LMS with little understanding of how people will navigate through it is like trying to build a house without observing a model of what the homeowners should see and experience when living in it. Giving your trainees a chance to walk through examples of what you hope their learners (end users) will see will allow your trainees to connect what they have experienced to what it is that they are learning about throughout the course of training. Making this connection early on will help LMS trainees stay engaged especially when setups become more complex or they navigate to a part of the system that looks unfamiliar. It will also foster both formal and informal learning. Hands-on activities should lead LMS trainees towards mastering the learning objectives. When developing training activities be intentional. Think about how each activity will build off the last and eventually lead trainees to achieving the final goal(s). Also, draft up your training with the empathy towards your trainee. Learners may come have various technological experience, and, because of this, your learning activities must contain clear and concise instructions. Setting up activities that build up to different levels of complexity will help keep the more advanced learners focused while developing the skills of your beginners or intermediate learners. During training, trainers should model how to setup and configure the features that the LMS trainees will actually use. When learning is social it engages learners while sneaking in incidental learning through more formal and intentional activities. Adding peer reviews into your LMS training will allow for reiterating the lessons and foster problem-solving skills that will prove to be indispensable when having to work in their LMS on their own. Additionally, it places the onus of learning the material back on all the attendees because they are being tasked with the responsibility of providing feedback to one another. Peer review like the hands-on activities should also be meaningful and guided. Using a tool such as a checklist will help reviewers stay on task and make the review more objective and will focus the learners on the key skills or tips that you want them to learn. Once training ends, attendees will be tasked with implementing what it is they learned on their own. This can become a daunting task, especially, when they have not had the chance to see how the system will work with their activity setup. Building in time at the end of an LMS training to have trainees build their own activities with their content will reinforce what they learned as well as provide an opportunity to simulate what it is that they will be doing on their own. Additionally, it will allow the trainer to assess how well the trainees mastered the learning objectives. The final activity should contain guided instructions that will require learners to use the skills that they have acquired throughout the training. Lastly, be open to experimenting. If something does not work, analyse why. Enlist the help of coworkers to have a dry run. This will help highlight gaps or the parts of training that may need to be adjusted before presenting it to your learners. After your LMS training seminars collect feedback and suggestions from your trainees and use it to improve your training. The personality of the groups will always change, but a good variable for gaging the success of your LMS training is the engagement of your learners, their ability to apply what they learned, and, in the long term, evaluating the number and types of issues coming into support. 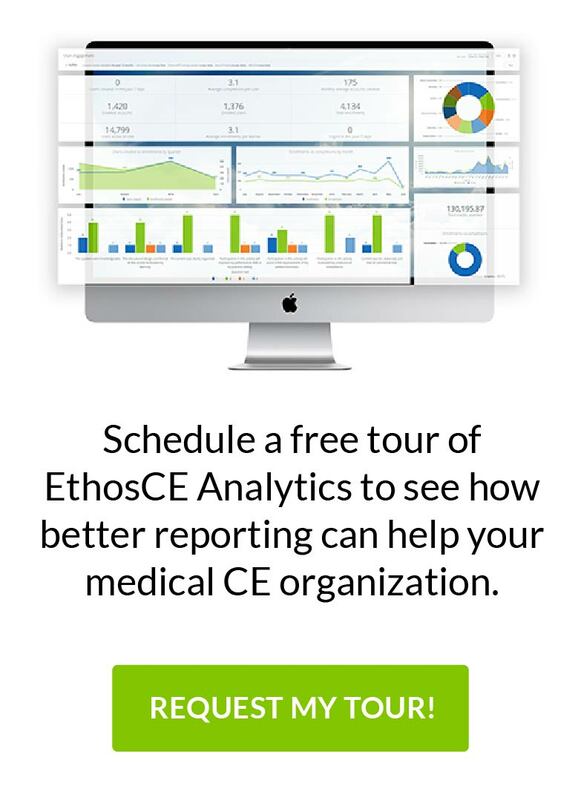 For more information about EthosCE, contact us for a free demo.